Being away from Second Life for 2 months feels more like being away for 6 months to a year. So much happens and so many things change in just this short period of time. Among things that change are friends and relationships. People come and go so easily and time away only makes the distance that much further. People get jobs and times change when they are online. People move into different times zones and are online at different times where you never see them. This is life and part of life in SL is new and different sims changing all the time. Among these sims is Everlong. I’m not really sure if Everlong was around before I left for my break or not. I just discovered this lovely place recently when I returned and asked a friend what was new. He pointed out a few sims, but this one caught my eye. There use to be an old sim about 3 years ago that was completely water. I do not even recall the name. It had different scenes set up everywhere and was probably my favorite of all locations to visit. When it closed, I was so upset and hoped to find something similar one day. Everlong is as close as I think I am going to get. It has a few scenes set up close together, and is filled with water! I wanted to share a few photographs of some of the scenes. If you want to see the rest, then I encourage you to go and visit for yourself. I am sure there are tons of photos that could be taken in this beautiful sim. I only had about an hour to enjoy the area, so I am sure I will be back to take many more photos in the future. As far as my blog will go, I am not really sure. I don’t want this to just be another fashion blog. I also don’t want this to be a constant thing that I need to post or do. After all, blogging is suppose to be fun right? Before I left I had lost the fun from this. It felt more like a job and I think the creative feeling had left me as well. I think I will write more about my photos and inspiration. I will credit, but it won’t be because I have to. No sponsors here! 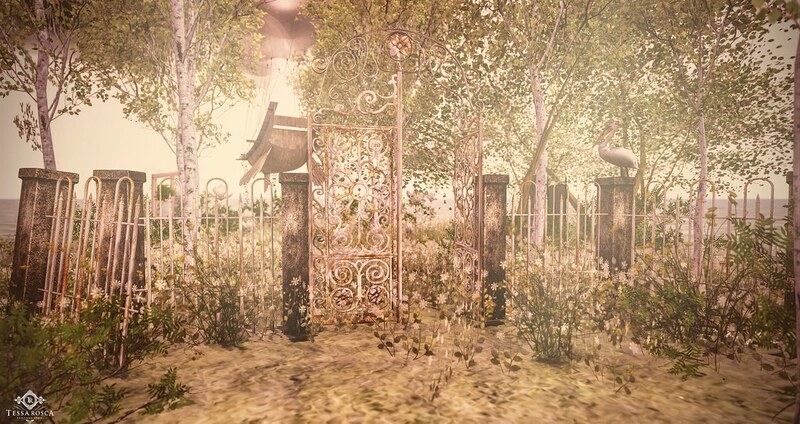 Till I find the inspiration I am looking for you may just see some sim posts. Till next time… TOOTLES! As I write, I am watching my Facebook feed pop up with all these crazy comments. Status updates that honestly should be left inside someones head instead of placed in a place where others are allowed to comment and view your wild ideas. I have my own views on the topics at hand, but I would rather not post them on Facebook and end up dragged into the whole out of control crazy train. If you do not know what I am talking about, then consider yourself lucky! I will however touch on a few of the topics, because it does involve blogging. I am by no means a great blogger. I am a decent blogger in my eyes, and I do try to improve on my skills when I can. I am a crappy stylist. I leave that to my sister who can rock anything you give her and make it look like it was made for whatever she pairs it with. That being said, I do try to improve. I can look at my photos a year ago and say that I am certainly better than I was at that point. I think if your photos look the same, then your not really doing yourself any favors. Don’t you want to be more than just average? If you pride yourself on having raw SL shots and no photoshop added, then I guess your doing exactly what you want to do, but do not belittle the people who want more. A person has a right to their opinion after all. I do not know many designers who require no photoshop work for their bloggers. I do know some who ask for little photoshop work on the item, but that doesn’t mean the entire photo people! The issue for me isn’t trying to figure out what the designer wants. They all want something different and there are so many designers now that my head spins. My job is to find out what I like. What do I do best and what do I enjoy doing. If that fits into a designers preference, then more than likely I will blog for that designer. I laugh at this concept now, because I use to be all about pleasing the designers. Gosh… I did so many fairs last year I would be in 2 or 3 at a time. I prided myself on doing event only blogging, because I thought that is what people wanted. People want to know the latest event and the latest releases. This is true without a doubt, but it was exhausting. After a solid year of doing this, I had to stop. I was killing myself blogging at least once a day. One blog for me takes time. I style and gather what I need for a photo and then I take the photo finally and then editing and writing. In all one blog takes me about 3 hours or so depending on distractions in RL. That is a lot of time… I realize that some people even take longer. Realistically, blogging twice to 3 times a week is all I really have time for. Once I figured this out, I then thought about the quality of work I wanted to put out. It may not be a graphic artist type of work, but its mine and I wanted to be proud of that. Sometimes I edit more than I should and sometimes I do not edit enough. Each post seems to be a learning process for me. It helps keep me from getting bored with it I think. I see some bloggers who blog the exact same way every time. Exact same editing every time. It is good editing, but it just gets old to me. What puts some above the others isnt the editing sometimes, but the styling. It just depends on blogger to blogger. Christmas reigns triumphant not only in the mind of a reindeer but in Christmas hearts, young and old. Wishing everyone a joyous and fun filled Christmas 🙂 I am not sure if I will be posting much after this. I am always slow during the holidays for obvious reasons! Parties and events with the family are well worth the time off. Merry Christmas and TOOTLES!